Enjoy a candlelit dinner or a pre-dinner drink at The Orrery and dine on the very best food and drink. 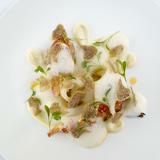 The Orrery offers elegant food and an extensive wine list in a sophisticated surroundings. "In London’s chic and trendy enclave of Marylebone where designer shops vie for space with smart restaurants, Orrery provides a relaxed and stylish venue for shoppers, local residents and business people alike to enjoy very high quality classic French cooking. In keeping with the relaxed charm of this historic quarter, Orrery is housed in an old stable block, the space remade into something elegant and delightful with arched windows, a glass roofed area and a lively bar next door. 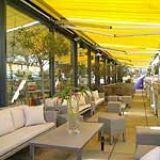 The Orrery restaurant roof terrace is one of London’s great outdoor dining spaces. In fact, both the bar and sunny terrace are two of London’s finest sipping and basking spots, a great place to escape from the hustle and bustle of the West End. 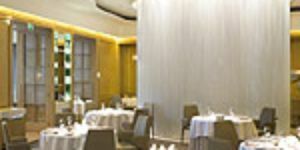 The menu is traditional French with classic dishes made exciting by inventive touches. The wine list is among London’s best and most extensive." 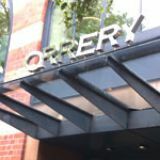 What did you think of Orrery? For special occasions, romantic dates or group dining in style, Orrery offers a celestial experience. Orrery takes its name from a piece of equipment used to map the solar system, which seems rather appropriate from inside this first floor restaurant, where arch windows expand the whole length of the building and offer up views onto a starry night’s sky. In daylight this can also afford the opportunity of people-watching over Marylebone High Street and St Marylebone Church. The restaurant is lengthy and seating is a combination of round tables with comfy, pastel green leather chairs or booth-style seating, where privacy is offered in the form of wooden-slatted partitions. The colour palette is neutral, with a glossy, cream-tiled floor, pine wood and jade green creating a muted and subtly stylish appearance. A bar is found on the same floor and is bolder in its presentation with plush, velvet armchairs and orange leather sofas nestled around dark wooden tables and offset against a baby blue carpet. And summer months are best spent on the roof terrace, where the same white tablecloth and formal dining layout is met with wicker sofas and foliage. Not to mention the downstairs café and shop, an ideal spot for foodies in search of some French delicacies. The restaurant takes on a formal but friendly atmosphere by night. Guests are a mix of business men, young couples and groups of friends – on the whole a predominantly older crowd who are impeccably turned out. The best is done to make this a relaxed dining experience, with staff incredibly eager to please, pulling out chairs for guests and holding open doors – this really is silver service. 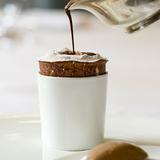 Their knowledge of French cuisine and wine is impeccable and they are very forthcoming with menu suggestions. 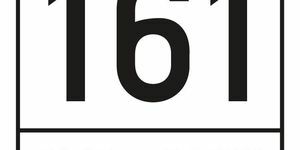 An exceptional French dining menu is actually quite reasonably priced, with three courses costing £48, or a tasting menu can be explored by diners for £59. From the a la carte menu, diners are spoilt for choice when it comes to starters. Duck raviolo, creamed leeks and champagne velouté is a creamy and somewhat soupy starter, the little parcel of gamey meat on a bed of leaks and all enveloped in a light but intense velouté. Parfait of foie gras, apple chutney and Poilâne toast offers up a taste of France with modern gastronomy techniques, a slice of pear served in a fruity jelly chutney, with a warm and doughy brioche-style toast on the side. For a fish course, guests can select ocean trout gravadlax, goat's cheese and horseradish cream and dill granité, a dish that takes on more of a Nordic influence and that presents the most succulent and top quality cured salmon with an adorable and subtle garnish of a cream cheese quenelle and a dill-flavoured crumble. It may be a cute gastronomic twist but this course isn’t quite as deliciously indulgent as the other French-inspired offerings on the menu. The seared Orkney scallop with white onion purée and truffle velouté for an £8 supplement is back to tradition and triumphs the rich and luxurious flavours most diners would be looking for in a restaurant like Orrery. A cute touch is the series of amuse bouches brought to tables between courses, with a cup of fiercely Mediterranean gazpacho standing out in particular. But for something more filling, main courses continue to impress. Fillet of turbot, salsify, ceps and champagne velouté is available for an £8 supplement and is a delicately fried fillet of fish with some earthy and perfectly balanced accompanying flavours – it works really well as a lighter main course option. A highly recommended dish is the Royal Berkshire medallions of pork, sage and pancetta, polenta and mushroom velouté, with the little rounds of meat cooked sous-vide, ensuring they are succulent, pink and full of an almost smokey intensity. Dessert is where French indulgence meets modern techniques and flavour combinations, with a vanilla and blackberry crème brûlée - which is just as naughty as you’d expect – teamed with an intense and fruity blackberry sorbet. And the chocolate soufflé is served in its own copper pan with an Amaretto ice cream that’s best dropped on top and allowed to melt in the mixture. The consistency is much like marshmallow and will set any chocoholic’s heart racing. Wines at Orrery are world-class and a comprehensive tome of a wine list covers 52 pages of predominantly French and Old World wines. 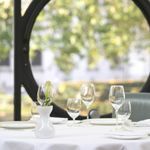 Luckily some highlights are selected seasonally by in-house sommelier Kathrine Larsen, whose previous experience includes working with wines at both Skylon and Le Pont de la Tour. Her monthly recommendations cover the affordable as well as splurge purchases, with whites and reds starting at £21 a bottle and ranging up to the £100 mark. She is also willing to suggest wines throughout the full list to best match your food choices – a 2009 Toques et Clochers white wine from Limoux (£40) is buttery and oaked, and stands up well to the rich and creamy flavours from the food menu. Sweet wine flights give diners the opportunity to sample four drinks for £20 when heading for dessert, while after dinner coffees and teas (£3.95) are also available, all served with a darling selection of petits fours. This exquisite dinner setting offers French-twinged gastronomy and an exceptional wine list to mull over, making it an ideal setting for special occasions or a formal dinner outing. Top table service and a relaxing environment at Orrery means an enjoyable evening of excess is written in the stars.